UEStudio is a powerful IDE (integrated development environment) solution that brings the power of UltraEdit functionalities plus Native Support for more than 30 popular compilers like Microsoft C++, Java, C/C++, and Python script, an Integrated Debugger, Integrated VCS Version Control, built-in Class Browsing, Language Intelligence (like Intellisense), Project Converter, a Batch Builder and more. UltraEdit vs. UEStudio: Compare Features. Includes unlimited lifetime tech support. 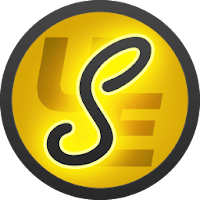 Disclaimer: Direct downloads for the lastest version of UEStudio 17.10.0.18 are provided by the official software's author, we can't guarantee safety, availability or download speed. Moreover, we don't and we won't provide any pirated/illegal versions or tools. We recommend you to avoid it as these methods can harm your device. If you like the software, buy it to support the developers. (We provide software discounts for many worldwide brands).